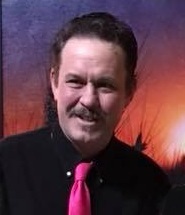 Longtime Goodland, Kansas resident Paul Jason Weber, 52, passed away on Saturday, January 19, 2019 at the Littleton Adventist Hospital in Littleton. Paul was born on December 6, 1966 in Dodge City, Kansas to Ron and Ann (Crick) Weber. He was one of two children. Paul grew up and attended school in Goodland, graduating from Goodland High School with the class of 1985. He then went on and attended Barber School for one year in Colorado Springs. Colorado. Paul worked for many years as an associate for Wal-Mart. He was an avid golfer, enjoyed playing softball and going fishing. Surviving family includes his father Ron of Goodland, his children Rachal Robles of Nebraska, Cassie Cooper of Goodland, Kansas, J.D. Weber of Texas, Jessica Weber of Texas, Kalyn Weber of Kansas City, Missouri, Britanie Weber of Grand Junction, Colorado, Tanner Weber of Goodland, Kansas and his companion of many years Cindy Leonard of Goodland, Kansas. He is also survived by his brother Steve (Merica) Weber of Sidney, Nebraska, as well as numerous aunts, uncles, cousins, nieces, nephews and friends.